He must therefore be known for what He is, and known to the extent that He is known, by authority alone. The Christian Reformed apologist can rightly boast that his system or method for apologetics endeavor is far superior to his opponent. The Christian argues presuppositionially; God is the all in all of apologetic encounter. Though our apologetic is superior, there is a humbling sense when we acknowledge that we are solely dependent on God’s grace in revelation for our interpretation of the world. Psychologically, acceptance on authority precedes philosophical argument; but when, as epistemologically self-conscious grown-ups, we look into our own position, we discover that unless we may presuppose such a God as we have accepted on authority, the Moment will have no significance. 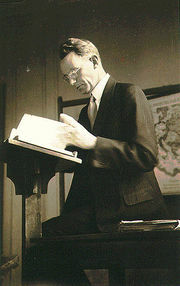 Van Til, Cornelius. Common Grace. Philadelphia: The Presbyterian and Reformed Publishing Company, 1947. pg. 8. Van Til, Cornelius. Common Grace. Philadelphia: The Presbyterian and Reformed Publishing Company, 1947. pg. 8-9. FLEW: Well, I don’t believe in the God of any revelatory system, although I am open to that. But it seems to me that the case for an Aristotelian God who has the characteristics of power and also intelligence, is now much stronger than it ever was before. And it was from Aristotle that Aquinas drew the materials for producing his five ways of, hopefully, proving the existence of his God. Aquinas took them, reasonably enough, to prove, if they proved anything, the existence of the God of the Christian revelation. But Aristotle himself never produced a definition of the word “God,” which is a curious fact. But this concept still led to the basic outline of the five ways. It seems to me, that from the existence of Aristotle’s God, you can’t infer anything about human behaviour. So what Aristotle had to say about justice (justice, of course, as conceived by the Founding Fathers of the American republic as opposed to the “social” justice of John Rawls) was very much a human idea, and he thought that this idea of justice was what ought to govern the behaviour of individual human beings in their relations with others. American Declaration of Independence, believed was that, while reason, mainly in the form of arguments to design, assures us that there is a God, there is no room either for any supernatural revelation of that God or for any transactions between that God and individual human beings. FLEW: Yes. I am open to it, but not enthusiastic about potential revelation from God. On the positive side, for example, I am very much impressed with physicist Gerald Schroeder’s comments on Genesis 1.10 That this biblical account might be scientifically accurate raises the possibility that it is revelation. In recent years my love for apologetics has grown immensely. I have dedicated many hours to studying ethics, logic, and apologetic methodologies. One person who has greatly influenced me by use of wit and theological precision has been Greg Koukl. He is president of Stand to Reason. This ministry has done tremendous service to the Kingdom. The ministry has a very qualified staff and focuses its attention on issues like homosexuality, abortion, and giving a reasonable answer in defense of the faith. Koukl has a tremendously affective way of reaching and communicating truth to people. Last year at the Evangelical Theological Society I had the opportunity to meet Greg and was elated to know that he was a gracious man with a heart for truth. I highly recommend their ministry and in fact, anyone can subscribe to their monthly newsletter called: Solid Ground. When someone tells me that laws can never change a fallen person’s heart, I ask them if they apply that philosophy to their children. Does the moral training of our children consist merely of preaching the Gospel to them? Wouldn’t we consider it unconscionable to neglect a child’s moral instruction with the excuse that laws can never change a child’s rebellious heart? Don’t we give them rules to obey, then threaten them with punishment for disobedience? Koukl brings up an important point which is needful to discuss. The matter of morality and its application to society finds little time in modern pulpits. In fact, the truth of the matter is that some do not even believe we are called to proclaim God’s commandments. They have told us that morality only brings spiritual death and can cause no change whatsoever. In the Scriptures, of course, we discover that the law is our tutor to bring us to Christ, through whom our hearts can be transformed. But still the question arises: Can morality transform the heart? There are at least two ways to answer this question. First, laws can never bring redemption to the soul. The truth is the law is not intended to bring regeneration. The law (man-made law) will not be able to reach the heart of society with a message that brings life. Secondly, in a very real sense the law does bring life and sanctifies the heart. David speaks of the law as “perfect,” “lamp unto his feet,” “a light unto his path.” The law of the Lord is the law that changes the soul. It brings metaphysical conviction; one that shreds the human pride to misery for in the law of God people must live holy lives. The unbeliever must submit to the commandments of God and bow before Him. The law of God serves as a pre-evangelistic tool to bring depraved hearts to the mercy of God. Since the Gospel alone transforms lives, some Christians wrongly conclude that political involvement is a waste of time. This myth of political passivity presumes that the Great Commission is our only responsibility. It’s not. Greg is absolutely correct. Political passivity has caused the decline of many nations, including this one. In the 19th and 20th century, Christian inactivity in the face of utter injustice did not communicate that the church was pure because it didn’t get involved in politics, rather, it communicated an approval of slavery and racial prejudice. The same can be said of today while 30 million unborn babies die every year. Koukl states: “Our past unwillingness to be involved in ‘politics’ has been a blight on the Church ever since.” This unwillingness is the cause of so much damage and ungodliness in our society. The Great Commission demands that we teach “all things that I (Christ) have commanded.” This is not a reference to Jesus’ Sharing the Gospel 101 class, but directly and indirectly to the law of God. The law as it was exposed in the synagogues. The civil and moral sanctions required by our Lord to be observed and obeyed. The law of God is not to be taught or proclaimed to believers alone, but to all in the world. The message of redemption is not separated from the message of the law. Both law and gospel are inseparable. They find fulfillment in the hearts of men and women who by God’s grace come to love their Creator. Further, they are also proclaimed to those who despise their Creator. Christians are looking for a distinctly Christian society (Societas Christiana), not an appearance thereof, but the very essence of Christian religion. The King is seeking to bring all His enemies under His feet (I Corinthians 15:24-26). They will come due to regeneration or due to submission to the law that shall encompass the whole world. Christ as King of Kings is not entitled to a part of the land, but to all of the land (Romans 4:13). Both Church and State must submit to the requirements of the law of the King. There is no neutrality. One cannot love both God and mammon. Freedom of religion is the goal, and non-establishment is the means. The only way to have true freedom of religion is to keep government out of religion’s affairs. This provides for what Steve Monsma calls ‘positive neutrality.’ This view ‘defines religious freedom in terms of a governmental neutrality toward religion in which no religion is favored over any other, and neither religion nor secularism is favored over each other. It must require of men everywhere that they acknowledge Him as Head of all things, as King of every domain of their lives. It must insist on Christian marriage, Christian education, Christian Science, Christian industry, Christian labor, Christian relationships between labor and industry, Christian culture, Christian recreation, Christian politics, Christian internationalism, in short, on a Christian society as well as a Christian Church (The Glorious Body of Christ p. 276). Kuiper states what God demanded of His people before and after the Fall: that man have dominion over all things. Calvin himself in his writings laid down very clearly the principle of the separation of the functions of Church and State. They are related and mutually supportive, but also independent of each other. Though Church and State operate in two separate arenas of society, yet they both must submit to the same God, and this is not the god proposed by some, but the God of Scriptures. Secondly, the quote ends by stating that “…neither religion nor secularism is favored over each other.” Again, this same error indicates the idea of freedom of religion as an ultimate goal of Christian activity. However, this is not the desire of Christ when he stated that the “gates of Hell will not prevail against the church (Matthew 16:18).” If by religion the author refers to any religion (pluralism), then I agree that neither pluralism nor secularism will prevail over one another for both must submit to the Christian message of salvation in Christ alone (Solos Christus). We have no mandate to ‘Christianize the United States – an impossible goal in any case. Yet Christians can work simultaneosuly toward a different goal, the ‘moralization’ of society. We can help tether the values and even the laws of society to some basis in transcendence. Ask yourself the question as the end of this article approaches: What is the goal of ‘moralizing’ a society if society will be doomed? Yancey is not in any way referring to the use of God’s law to moralize society, but he is probably referring to bringing back prayers to public schools and things of that nature. But in either way, the idea of tethering “the values and even the laws of society to some basis in transcendence” is utterly absurd. Theism may be a prerequisite to Christian theism, but transcendent morality with no Trinitarian morality is no morality at all. Notice also his initial assumption when he says that “We have no mandate to ‘Christianize’ the United States – an impossible goal in any case.” Yancey is correct in affirming that we have no mandate to Christianize the United States, we as Christians who believe in the Triune Sovereign God have a mandate to Christianize the world by the power of the Gospel and the grace of the Holy Spirit. Micah 4:2 says: “‘. . . that He may teach us about His ways and that we may walk in His paths.’ For from Zion will go forth the Law Even the Word of God from Jerusalem.” May our hearts be encouraged that the Father has promised the nations as a gift to the Son and the end will not come until all his enemies are under His feet. In the words of the famous Advent song: Let earth receive her king! In order to build an articulate worldview we must engage as many ideas as possible. It may even be that in the end of the day our worldview spectacles (Calvin used this language to describe worldview thinking) may be slightly blurred because of the dust from other forms of thinking that have crept into our world. Nevertheless, the only way to construct an appropriate view of life is to be willing to explore a variety of ideologies which at first may be contrary to your system of thought. At least in my tradition (Reformed) I know my limits. In my case, anything that in any way betrays a Triune foundation falls short of what I need to enhance and beautify my worldview. Without a doubt, any worldview that seeks to deny any tenet in the Apostle or Nicene Creed has already suffered considerable damage. Since thought and meaning cannot exist without divine truth, any worldview that lacks these tenets is doomed. I do realize that in modern societas Christiana the role of experience has been diminished to a powerful indication of knowing God’s will. Something similar to “pray real hard and if you cry real hard then EUREKA!” Of course, this approach to experience is far from Biblical truth. However, on the other hand, we do not want to make experience simply a faulty didactic tool; we want to make experience a part of the wholeness of our worldview. Our fault has been in assuming that only our understanding of the text or culture is the only source of knowledge, but I propose that it is only one source of knowledge. Hence, a thoroughly Biblical worldview encompasses all forms of thinking, emotions and practices. I believe a truly post-modern (post-modern here is used as a current phase in history, not necessarily the movement per se, though it is almost impossible to define postmodernism as a movement) dogmatic (or construction) must be tri-perspectival to borrow Frame and Poythress’ language. It should encompass right thinking (doctrine), right behavior (practice), and right experience (emotions etc.). One last point is that a worldview formulation is not made to be individualistic, but applicational. As John Frame puts it: “Theology is only theology when it is applied.” In this sense I applaud Abraham Kuyper (Dutch thinker) in that he sought to build a Biblical worldview that could be applied to all areas of life and society. 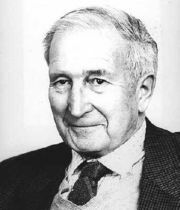 Most of the Westminster professors in the 70’s took Kline’s position on “intrusion” and assumed that society, culture and the political sphere were matters of secondary importance and the church and family should take preeminence. Kuyper, on the other hand, saw that education, politics and all aspects of society were under the lordship of Christ and, therefore, should submit to His Lordship. That is, Kuyper saw family and the church inextricably related to education and all facets of society. To him Calvinism (by that he meant much more than TULIP, but the wholeness of Calvinistic worldview thinking) was the source of all knowledge, meaning God is the foundation of history to which all of created kosmos must submit. Though I find much Dutch apologetics nearly fideistic, I do concur with Kuyper’s application of ethics to all of life. As Bahnsen once stated: “If something is considered moral, then it must be universal.” In other words, if it is not universal it cannot be moral. Morality in America must be the same morality in Africa. All aspects of life including the government, church, and family must follow one code of law. Of course, the outworking of law and ethics to the civil magistrate and other facets are not always cut and dry, but the point still stands. Anyway, I think this is a good place to start building a proper view of life. I mentioned a few days ago that we have to avoid all forms of unbelief, whether in modernist or postmodernist guise. This requires a distinctive Trinitarian epistemology. Consider this some preliminary doodling. One of the problems with this kind of discussion is that it tends to be limited to academics, and epistemic certainty becomes something you can demonstrate (or not) in a classroom. Reduced to this, certainty becomes a function of personality, logical acumen, bombast, and so on. But what about epistemology in the Bible? While it is lawful to discuss such things in a classroom, and (with direct permission from the Holy Spirit) it might be okay to write a book on it, things look very different in Scripture. In the Bible, when the Word comes, the faithful are described as receiving it, or as believing it, or as bearing witness to it. And certainty is measured in these life terms, measured in blood, and most emphatically not measured in terms of haunting self-doubts. When we begin with the problems of interpretation, we often never get to what the Bible presents so breezily, which is faith. When we begin with faith, we come to understanding. The fear of the Lord is the beginning of knowledge, not the end of it. How certain am I that in the observance of the Lord’s Supper, the bread and wine do not turn into the literal flesh and blood of Jesus? In a classroom discussion, how can I answer this question? I could hold my hands apart six inches and say, “This much,” or perhaps, in a rhetorical flourish, I could stretch my arms all the way out and say, “This much.” But the martyrs who suffered under Bloody Mary had a different calculus entirely (and a far more biblical one). They sealed their testimony with their blood. Related to this (the flip side of it, really) concerns what you are willing to kill for. A number of years ago, I served on a jury in a murder trial. We convicted the accused man, and the biblical standard we were operating with was that we had to be convinced “beyond a reasonable doubt.” But note how loaded with epistemological concerns that phrase is. Beyond a reasonable doubt — what is that? But since this was a jury room, and not a classroom, we were dealing, in principle, with a man’s life. How certain must we be then? The same principles are involved in going to war, drafting certain kinds of legislation, and so on. We are called to believe, receive, bear witness, and act. When we act, there will be costs (at least in the real world). The issues of certainty are always issues that always revolve around cost. The problem with modernism is that it was willing to act on false principles and a false foundation, not bearing witness to Christ, and therefore it has been convicted of epistemic arrogance. But the problem with postmodernism is an identical one — it is also not willing to believe the story of Christ’s actual resurrection from the dead, a story that therefore defines and subordinates all other stories. To use the jargon, if Christ’s resurrection is not a metanarrative, a reigning metanarrative, then we are all still in our sins. And since the postmodern “incredulity to all metanarratives” includes this, it is also convicted of the arrogance of unbelief. The problem is not that some Christians are now telling us that the Bible is more than a bundle of propositions. We know that, and have been saying it for years. I myself have been pummeling the epistemology of the Enlightenment (with shouts of exuberant joy) for some time now. But then along come some evangelical poseurs, using the obvious faults of modernism as a pretext for adopting something just as bad and twice as silly. So I says to myself, I says, let us rise up and smite that thing, hip and thigh. Let us hew it to pieces before the Lord. The Bible presents a grand story, a narrative. But here is the rub. We believe the story, we receive it. We bear witness to it. It is the story. It is the ultimately true story. This is a Trinitarian epistemology because Jesus is the full revelation of God, the exact image of His being. God revealed Himself in Christ. If you have seen Me, Jesus said to Phillip, you have seen the Father. And Jesus, among many other things, was the First Witness, the Faithful Witness, the Preeminent Martyr. How certain was He of His identity? How firm was His grasp of those tricky passages in Isaiah about the suffering servant? And when the voice came from heaven, and others heard only thunder, how can we measure His response? In short, how do we evaluate Christ’s epistemology? His blood not only saved His people, but His blood also showed us a way of knowing. We are to imitate Him. Worldview thinking seems to be almost exclusively a task of the intellectual elite, however, the truth is, that all of us have a worldview whether we know it or not. Worldview thinking is rare today because very few in the pews are willing to deal with it. In fact, to think to establish a Biblical worldview we must learn to understand what it is. A worldview is a set of glasses that everyone has from the time a person is born. As a person grows in age and in knowledge a person’s focus becomes narrower, not that he limits his ideas, but that all the ideas and concepts in his life (which he has been bombarded with in school, work, family gatherings etc.) are put together into a coherent system. Hence, he now sees the world from a selective pair of glasses, and everything he sees he will be able to determine whether it is good or bad, useful or not useful and so on. Of course, the main reason many people do not have a coherent worldview is because there are many difficulties that hinder God’s people from thinking about it. *Lack of clarity in academia and society, Example: I think this but you think that. *People have not learned how to think critically, but rather accept all things without questioning authorities. *Churches bore people with messages, which they have all heard. *People don’t consider the context or environment in which they live. *People are bound to only the New Testament and treat the Old as a story book with no relevance to contemporary life. *People have lost their joy in the beauty of Creation, redemption etc. It is my contention that unless we learn to deal with these issues first we will not even begin to think about thinking Biblically.